At Edinger Medical Group our highly skilled medical professionals provide top healthcare services with care and compassion in mind. We are committed to providing exceptional healthcare to patients throughout Orange County. With offices in Huntington Beach and Fountain Valley, Edinger physicians specialize in Internal Medicine, Family Medicine, and Pediatrics. Caring for patients for more than 50 years, Edinger Medical Group is consistently recognized for its outstanding patient care and patient satisfaction in the community and statewide. Personalized patient care is what sets Edinger Medical Group apart. Our Physicians and clinical staff oversee all specialist and hospitalist care to ensure a comprehensive health care experience. When you visit one of our locations you can expect to receive world class care from staff that is truly invested in you. #1 Medical Group in Orange County! The people of Orange County voted Edinger Medical Group as the #1 medical group in Orange County for the second year in a row! Thank you to everyone that voted to help us achieve this honor. We love providing exceptional care! Edinger Medical Group has been caring for Orange County patients for over 50 years with offices in Fountain Valley and Huntington Beach, California. Specializing in Internal Medicine, Pediatrics, and Family Medicine, the physicians are dedicated to providing outstanding, comprehensive healthcare to patients of all ages. We’re family here at Edinger and we constantly strive to show our EMG family how much they mean to us by enriching our work lives with engaging events and activities. It’s no wonder Edinger Medical Group has been voted as a Top Workplace in Orange County for consecutive years. For the convenience of our patients, Edinger Medical Group provides direct insurance billing with most major insurance providers and assistance companies. Edinger Medical Group is conveniently located on the campus of Orange Coast Memorial Medical Center, where all of our physicians are also part of the medical staff. The hospital is part of the non-profit Memorial Care Health System. 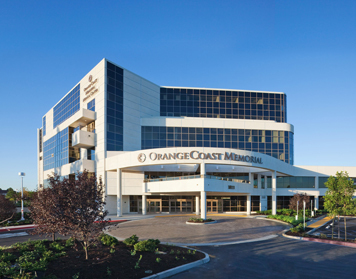 Orange Coast Memorial Medical Center has 218 beds and is a full service hospital. They are known for their award-winning ER, Maternity Center, and highly respected Memorial Care Breast Center. 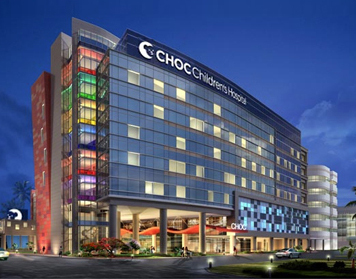 Since opening its doors in 1964, CHOC is the first hospital devoted exclusively to caring for children in Orange County and has provided the highest quality medical care to children. It includes a state-of-the-art 238 bed main hospital facility and provides the full spectrum of pediatric care, facilities and specialists in one institution for the care of seriously ill children.